Erin Collins Kimball- RYT 500 Group Fitness and Marketing Manager at Bay Club, Barre Dia, Vinyasa and Ashtanga Yoga Instructor as well as Paddle Board Yoga enthusiast and instructor. She is also creator of Barre Dia a combo of cardio, fitness, ballet, yoga and corework. Erin studied Sivananda Yoga and Ayurveda at the Sivananda Ashram in Nassau, Bahamas. Erin is also certified to teach Rasamaya Barre and PiYo. Erin obtained her 200 hour Vinyasa Certification with The Breathing Room. She recently obtained her 300 Hours advanced Ashtanga Yoga Teacher Certificate at Kranti Yoga School in Goa, India under the guidance of Tarun Agrawal, founder and director of The Kranti Yoga Village. Erin has been teaching classes since 1999 and has been studying yoga for over 10 years. She enjoys the mind, soul and breathe connection that yoga provides and loves motivating individuals to get healthy and fit while having fun. 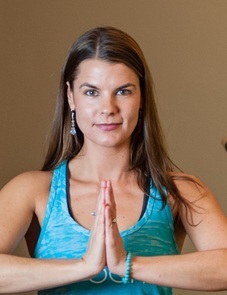 Erin offers private Barre Dia and Yoga instruction at Bay Club. Visit Erin's website www.yogadiamovement.com for more info.